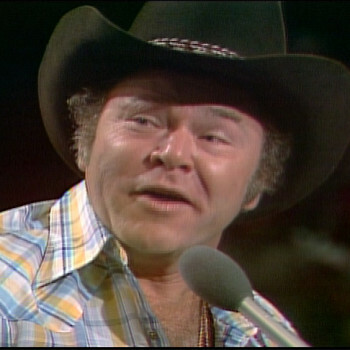 We at Austin City Limits extend our condolences to the family and friends of country guitarist, singer and comedian Roy Clark, who passed away today at the age of 85. The always smiling, fleet-fingered multi-instrumentalist was born in Virginia and raised in New York and Washington, D.C. After winning multiple guitar and banjo championships and appearing on the Grand Ole Opry as a teenager, Clark became a regular on Jimmy Dean’s D.C-area TV show. He went on to play with Western swing bandleader Hank Penny and rockabilly queen Wanda Jackson. When Dean hosted The Tonight Show, he invited Clark to perform, introducing the nation to his protegé’s prodigious musical skills. Clark signed with Capitol Records in 1963 and scored several top 10 hits on the country charts. In 1969, he became the host of country comedy program Hee-Haw, a post he would hold for nearly a quarter of a century, until the show’s demise in 1993. The show had an audience of more than 30 million viewers at the height of its popularity. Though his Hee-Haw stint brought him his biggest fame, it ended up obscuring Clark’s musical talent, which was considerable. A master guitarist, banjoist, fiddler and mandolinist, Clark was conversant in many styles of music, as apt to play jazz, blues and rock & roll as country and bluegrass. He could throw down with the best of them – not just country pickers, but bluesmen Gatemouth Brown (with whom he appeared in a memorable double-header episode of Austin City Limits in 1980) and Count Basie. Though he was no slouch as a comedian, as Hee-Haw and appearances on The Odd Couple and The Beverly Hillbillies attest, it’s ultimately his amazing musical skills that will be his legacy, as he proved with regular performances at his theater in Branson throughout the nineties and ‘aughts.